On 12th September & 13th September 2015 the Delapre Abbey Preservation Trust (DAPT) has organised an open weekend in conjunction with Northampton Borough Council and Woodhead Heritage, our specialist conservation team opening its doors again as part of the National Heritage Open Days in 2015. Over the weekend you will have the chance to find out about the project taking place including results of the archaeological work so far as well as plans for the abbey’s exciting future as an engaging historic visitor attraction. Along with information displays there will be a number of demonstrations of traditional building and conservation crafts for people to have a go at. It will be possible for visitors to enjoy a short hard hat* tour of some of the abbey building itself, looking at the restoration works already underway, and exploring more of what the project is hoping to achieve. The project will see Woodhead Heritage undertake the full conservation of Delapre Abbey and associated out buildings. The project, funded by the Heritage Lottery Fund (HLF) and other contributers, will culminate in the building being open to the public in summer 2016. Woodhead Heritage will be showcasing traditional crafts and skills that are currently being used on the Delapre Abbey project. 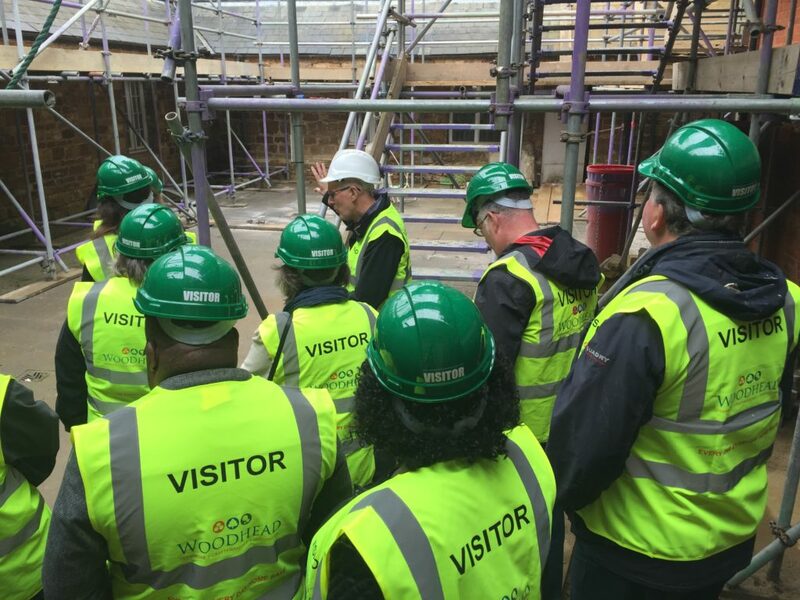 The delivery teams will be running exclusive behind the scenes hard hat tours* of the abbey works. No advance booking is required; visitors can register for a tour on arrival at the site entrance. The event is free to enter with parking available at the abbey. *It is a live construction site, restrictions apply to the tours. Tours are not suitable for anyone with restricted mobility. Visitors must wear sensible footwear. No open shoes or sandals will be allowed on-site.